Brecon Beacons Bed and Breakfasts. Compare latest rates and Live availability for all your favourite places and places you have always wanted to go using our new My Shortlist feature. Click + to add to your Shortlist. Bed and Breakfasts in Brecon Beacons for 1 night from Fri Apr 19, 2019 to Sat Apr 20, 2019 within 15 miles, in an Average Nightly price range of £1 to £200. With the tower and walls of Brecon Castle located in its gardens, Brecon Castle Hotel is a heritage hotel of great charm and character. Located on a prominent hill in the centre of town it has amazing views over the river Usk and the Brecon Beacons. The Usk Inn in Talybont features a garden and a bar. There is a restaurant. All rooms in the inn are equipped with a flat-screen TV. With a private bathroom, rooms at The Usk Inn also feature free WiFi. Brecon is 11 km from the accommodation. The nearest airport is Cardiff Airport, 85 km from The Usk Inn. Studios at Glenthorne offers self-catering serviced studio apartments in a fine Victorian house. Each studio has a beautifully appointed modern kitchen with fridge washing machine induction hob microwave and convection oven along with all of the crockery and cutlery you could want during your stay. Tea coffee and fresh milk are complimentary along with toiletries. The Studios also have drying and ironing facilities. br / br / br / br / The tasteful and relaxing self-catering studios have a double bed a flat screen freeview TV with DVD USB connection and HDMI (10 metre cable provided) as well as a comfy sofa bed in studios 1 & 2 and a dining table in all studios. WiFi access is free fast and reliable. br / br / br / br / The en-suite modern bathroom is furnished to a high standard with fully pumped shower and complimentary toiletries. br / br / br / br / We also offer a bed and breakfast service ingredients for a delicious Continental Breakfast can be placed in your fridge for you to eat at your leisure no need to dress for breakfast or rush to the dining room! br / br / br / br / We provide secure bike storage and washing facilities for your bikes. br / br / br / br / Studios at Glenthorne offer a great central location which enables our guests to truly immerse themselves in the thriving cultural landscape of Merthyr Tydfil. It is just a five minute drive from the town centre railway station and bus station and close to all of the historical sites in Merthyr Tydfil. br / br / br / br / For those who enjoy outdoor activities we are a 15 minute drive from the Brecon Beacons National Park and a 10 minute drive from BikePark Wales at Gethin Woods. The Taff Trail is easily accessible and wonderful for walks and bike rides. br / br / br / br / Merthyr Tydfil is only 30 minutes drive from Cardiff the vibrant capital city of Wales. The Manor sits at the foot of the ancient fortress Table Mountain. Situated in the beautiful Usk valley within the Brecon Beacons National Park and close to the pretty market town of Crickhowell we are superbly located for lots of outdoor activities. With 22 individual styled bedrooms The Manors interior is honest and unpretentious. Our Bistro overlooks the valley encroached by an impressive escarpment and below the river Usk. Our food is quintessentially British we believe in simple unfussy food using seasonal produce. 90% of the meat and poultry served at our restaurant comes from our family farm just down the road. So we know exactly what our animals have been fed throughout their life and hope this will also lessen our carbon impact on the environment. With a leisure suite swimming pool and Jacuzzi The Manor hotel is the perfect country get away it provides ideal affordable accommodation to recharge and refresh in a clean green natural environment. Gliffaes Country House Hotel is situated well of the beaten track in a spectacular position above the River Usk with log fires sunny terrace locally sourced food and plenty of walking. If you are looking for somewhere bland and faceless with all the character of a corporate hotel then Gliffaes is certainly not for you. Hidden off the beaten track in between the Brecon Beacons and the Black Mountains is one of Wale s best kept secrets. Among the old trees spacious lawns and with a commanding view of the River Usk is Gliffaes Country House built in 1888. The same family has run the house as a hotel and fly-fishing lodge since 1948. Gliffaes has 33 acres of grounds 23 individually decorated en-suite rooms and 2.5 miles of fishing. /p Silence is something that is in abundance as all guests hear is nothing but the birds and the river from the bedrooms. There are a total of 23 bedrooms a number of which are twin bedded. All are individually decorated and furnished sympathetically in-keeping with the historic character of the hotel all with private bathrooms. The rooms are priced according to size and the views they offer. The more luxurious rooms have spectacular views across the Usk Valley while others look over the magnificent grounds. There is one room on the ground floor with an adapted bathroom this room is suitable for those having difficulty with stairs. /p Being in the middle of a National Park and surrounded by farmland the hotel has access to some especially good meat lamb and beef in particular. The hotel has earned an AA rosette for its cooking for the 8th year in a row. Most of the dinner menu is changed daily and offers a choice of 5 starters mains and desserts and there is always a vegetarian option. With priory notice most diets will be catered for. /p Gliffaes is perfect for those wishing to organise small board meetings conferences team building events or staff training well away from the distraction of a city centre or a busy motorway junction an ideal location to meet and explore the 35 acres of grounds. The hotel is privately run by a dedicated family team who make it their business to understand guest s wishes. The venue is quiet and peaceful all year round and is quite conveniently accessible. /p There are many activities to enjoy whilst staying at Gliffaes as the hotel overlooks the River Usk guests can enjoy fishing. The hotel has been looking after fishermen and women since opening in 1948. There are a wide variety of activities available both within the hotel and its grounds enjoy a round of golf walking on the black mountains cycling riding caving canoeing ballooning gorge walking and even shopping. There is sure to be something for everyone to enjoy. With the Brecon Beacons a 10-minute drive away, Coach & Horses is a bed and breakfast with an ideal location for exploring the Welsh countryside. Free WiFi is accessible throughout the property. Coach & Horses offers a range of rooms, some with a private bathroom and others with a shared bathroom. All rooms also have a flat-screen TV and tea/coffee making facilities. Further bars, restaurants and shops are located within 1 mile of the property and Festival Park, outlet shopping is a 14-minute drive away. Ebbw Vale Parkway Railway Station is 4 miles away. Cyfarthfa Castle is a 13-minute drive from the property, whilst Parc Bryn Bach is just 1 mile away. Brecon Beacons National park covers approximately 520 square miles and stretches from Swansea in the west to the border with England in the east. Designated a National Park in 1957 the Brecon Beacons is a beautiful area of Wales with rolling countryside, waterfalls, reservoirs, caves and mountains.Â Welsh Mountain ponies roam freely and the once endangered Red Kite now thrives in the skies above. How about hiring a Brecon Beacons Cottage ? Click the link to see our selection of cottages. In the western half of the park is the Fforest Fawr Geopark â€“ one of the four mountain ranges within the park, the others being The Black mountain (to the west), the Brecon Beacons and (confusingly) The Back Mountains on the Eastern border with England. Pen y Fan at 886 metres is the highest point in the Brecon Beacons and has a distinctive flat top which was used as a burial ground in the Bronze age. The Monmouthshire and Brecon canal once used to transport goods between Brecon and Newport but is now a quiet waterway with lots of leisure boats and pleasant canal tow path walks. The Dan-yr-Ogof caves are well worth a visit and the visitor can take a guided tour of two of the large caves within this spectacular labyrinth. Brecon Beacons Bed and Breakfast, Brecon Beacons Hotels, Brecon Beacons Guest Houses, Brecon Beacons Cheap Hotel accommodation suitable for a Brecon Beacons Weekend Break, a Brecon Beacons City Break, Brecon Beacons Wedding Accommodation, Brecon Beacons Cottages, Brecon Beacons Self Catering Cottages, Brecon Beacons Walking, Brecon Beacons Rambling, Brecon Beacons Fellwalking. Abergavenny / Y Fenni B&Bs— Abergavenny / Y Fenni Bed and Breakfast and Guest House Accommodation. Bethlehem B&Bs— Bethlehem Bed and Breakfast and Guest House Accommodation. Brecon / Aberhonddu B&Bs— Brecon / Aberhonddu Bed and Breakfast and Guest House Accommodation. Capel Gwynfe B&Bs— Capel Gwynfe Bed and Breakfast and Guest House Accommodation. Crickhowell / Crug Hywel B&Bs— Crickhowell / Crug Hywel Bed and Breakfast and Guest House Accommodation. Govilon B&Bs— Govilon Bed and Breakfast and Guest House Accommodation. 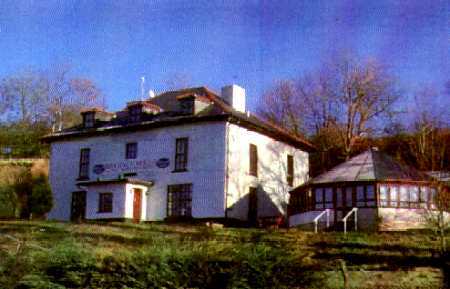 Hay-on-Wye / Y Gelli B&Bs— Hay-on-Wye / Y Gelli Bed and Breakfast and Guest House Accommodation. Llandovery B&Bs— Llandovery Bed and Breakfast and Guest House Accommodation. Llangadog B&Bs— Llangadog Bed and Breakfast and Guest House Accommodation. Llangorse B&Bs— Llangorse Bed and Breakfast and Guest House Accommodation. Merthyr Tydfil B&Bs— Merthyr Tydfil Bed and Breakfast and Guest House Accommodation. Myddfai B&Bs— Myddfai Bed and Breakfast and Guest House Accommodation. Pontneddfechan B&Bs— Pontneddfechan Bed and Breakfast and Guest House Accommodation. Talgarth B&Bs— Talgarth Bed and Breakfast and Guest House Accommodation. Talybont-on-Usk B&Bs— Talybont-on-Usk Bed and Breakfast and Guest House Accommodation.